One of the earliest messages that Kay channelled. It is in the book ‘Earth Messages of the Love Energy’. Every person living on earth is born into a family. Collectively all have a part to play. Individually a part to play – although when of age and therefore can fend for oneself you should never think on your own as there is a collective consciousness – another family – you are part of a heavenly family. When all allow their feelings to be from their highest self and therefore be from their essence, they will ignite and unite with the higher consciousness. The more people who know that their being is more than flesh and bone, the more people that awaken their spirit, soul, essence, the more who can connect into the greater consciousness, then more Light can be radiated from the heavens to the earth. Awakening to this knowledge is important for the connection of the humanness with the spirit. The understanding of the importance of the spirit within – allowing the spirit within to play its part through the heart of the human. 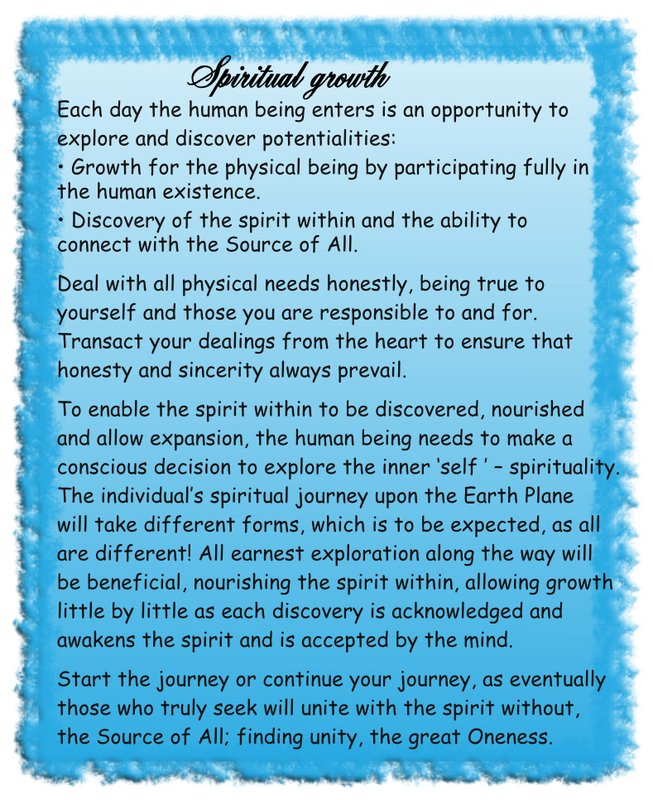 This message is from the first book of their messages Earth Messages of the Love Energy.